Holds 10 rounds, any size from .223 Remington up to .338 Lapua!! Our 50-count plastic retail boxes are great for loading casings at your bench, or shooting at the range. But they aren’t the most practical for carrying ammo into the woodchuck fields or out deer hunting. The solution? 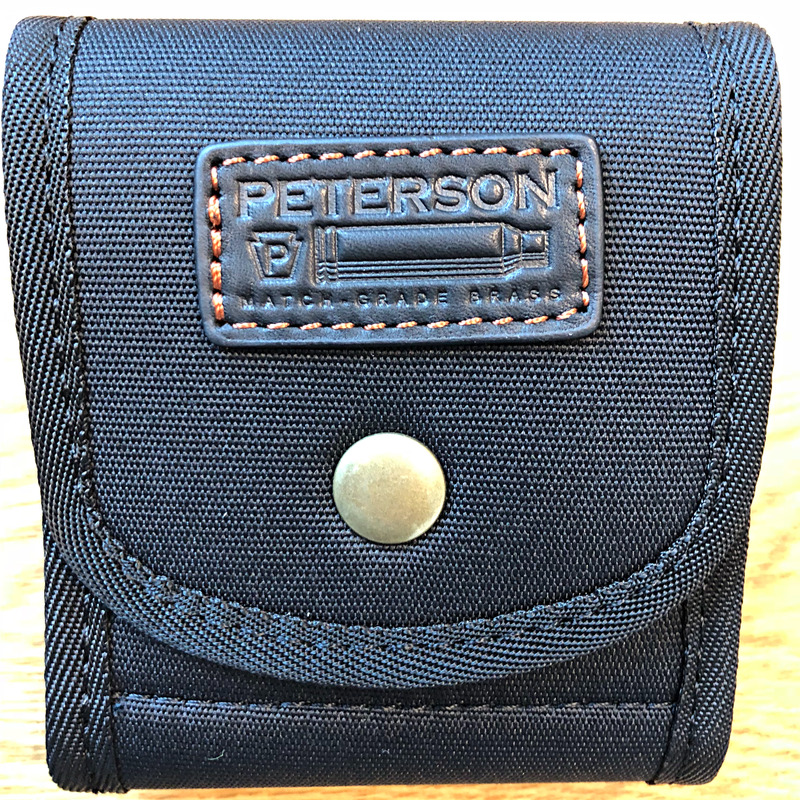 Peterson Ammo Wallet! Attach to your belt or slip into your coat pocket. Ammo is individually sleeved so it won’t rattle when you walk. Heavy duty construction for years of use.